How Does a Careless Driving Ticket Affect My Car Insurance? When and by how much will your premiums increase? You’re on a family road trip, and it’s been a long day. Your spouse fell fast asleep after driving his five-hour shift, and now it’s up to you to get your family safely to the next stop on your journey. You do everything right. You make sure the AC is on full blast. You've been chugging coffee to make sure you don’t fall asleep. But the wide-open night road combined with your fatigue has you starting to nod off. Then you see it in your rearview mirror—the dreaded flashing lights of an approaching police car. You try to stifle your yawn as the officer comes up to your vehicle and tells you that you’ve been weaving back and forth between lanes. He can tell you're sober and just sleepy, but you still leave the exchange with a ticket for careless driving and a strongly worded suggestion that you get your family to the nearest motel. Don't try to keep driving endlessly into the night. You’re thankful nothing bad happened as a result of your carelessness, but you can’t help but wonder what this will mean for your car insurance rates. Unfortunately, a careless driving ticket can be very expensive ranging from state fees and fines to the effect on your insurance. There's no way around it—your car insurance payments will go up if you get a careless driving ticket. The real questions are how much will they go up, when will they go up, and for how long? How Much Will They Go Up? It's difficult to impossible to put an exact dollar amount on how much you can expect your premiums to increase. Your insurance agent might even have a tough time telling you the expected rate increase if the incident hasn't yet hit your car insurance policy. A lot of things go into factoring your rate. A young driver can be hit harder than a middle-aged driver. You can probably expect anywhere from a 10 percent to a 40 percent increase. When Will Your Rate Go Up? Any tickets you've received will be included in your rate when your policy renews. Car insurance is typically recalculated every six months, but some companies do it just once a year. Your driving record is pulled each time your policy renews, and any changes are included in your new rate. If your renewal was already in the process of being calculated, you might avoid the increase for another six months. If you're slated for renewal next month, however, you should probably look for the increase then. How Long Will You Pay a Higher Rate? Insurance policies can vary, but most insurers will keep the ticket on your record for three years. You probably won't be eligible for a violation-free discount for five years, so that's typically how long you'll have to wait to get back to preferred status. What If You Already Had a Recent Traffic Violation? 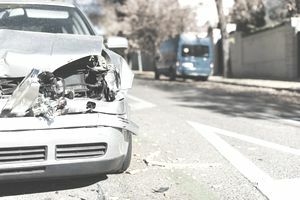 If the careless driving ticket was your second or third traffic violation within the last three years, you could be looking at having your car insurance policy canceled. Your insurance carrier would no longer insure you because of your high-risk status. Plan on shopping for a new policy with a high-risk insurance carrier. Switching insurance companies under these circumstances usually result in a higher rate because the newest ticket will be factored into your rate. Dwelling on the past won't change anything. Traffic tickets are always frustrating, but it's time to deal with the consequences and be on your best behavior. Do not let your car insurance policy lapse. Make your payments on time, so your insurer has no additional reason to cancel or not renew your policy. Avoid more tickets. Staying out of trouble is the fastest way to make these high rates go away. Consider consulting with a lawyer before paying any traffic tickets. He might be able to help you figure out how to avoid costly insurance penalties. Often just paying the ticket without fighting it or trying to negotiate the charge downward in court is considered an admission of guilt.